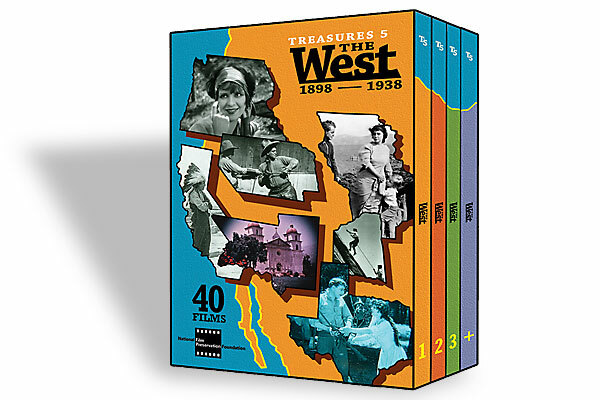 The Auteur Who Walked the West Rediscovering the Westerns helmed by forgotten studio director Gordon Douglas. 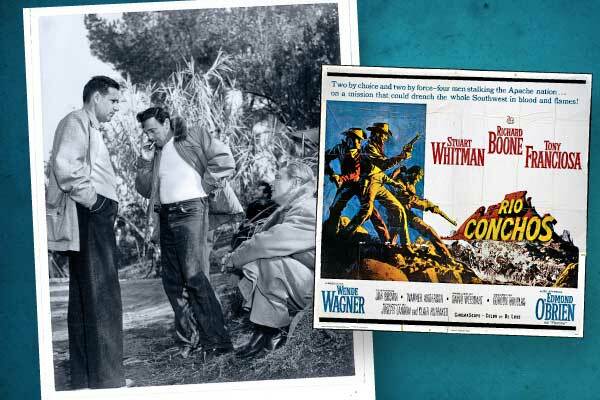 They’re the studio men, the directors who took assignments, working on Comedies, Westerns, Musicals and Horrors. They directed top stars, the youngsters coming up and the stars on the way down. They helmed movies the front office loved and second-rate features studios didn’t care about. For every Hitchcock, Capra or Wyler, dozens of fine filmmakers were making movies that were making money, and making an impact, without the spotlight finding them. The films had status with ticket buyers, even if their makers didn’t. When Director Henry Hathaway said of Michael Curtiz, “He’s the most underappreciated director in the business. He could do anything,” he was making the case for the contract filmmaker. The man who personified Warner Brothers, guiding the “quintessential Hollywood movie,” 1942’s Casablanca, was essentially unknown outside the studio gates. Hathaway could also have been talking about himself. 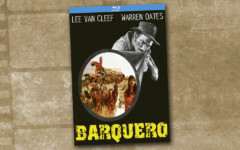 When he made 1969’s True Grit, he had been in the directing chair for nearly 40 years. One of the architects of Twentieth Century-Fox, he helped usher in the film noir era (Kiss of Death), handled historical drama (The Desert Fox) and made some of John Wayne’s finest productions. Despite directing the same stars, these auteurs weren’t considered the same caliber as John Ford or Howard Hawks. Douglas came to the director’s chair as a Comedy specialist, first playing juveniles in two-reelers and writing gags for Hal Roach. While penning Our Gang shorts, he was promoted to director and guided Alfalfa and Buckwheat to their only Academy Award, in 1937, for Best Short Subject One-Reel (“Bored of Education”). Douglas’s first feature as a director, 1936’s General Spanky, with the Little Rascals in the Civil War, led to 1940’s Saps at Sea, starring Laurel and Hardy. Douglas left Roach in 1942, never looking back, as he made films in every genre for every major studio for the next 36 years. After directing his first Western in 1949, Douglas would return to the genre more than a dozen times before his retirement in the late ’70s. He brought a tough, parched sensibility to his best work. The self-proclaimed “studio worker” was ultimately much more than that, and many of his films deserve rediscovery. C. Courtney Joyner is a screenwriter and director with more than 25 produced movies to his credit. He is the author of The Westerners: Interviews with Actors, Directors and Writers. 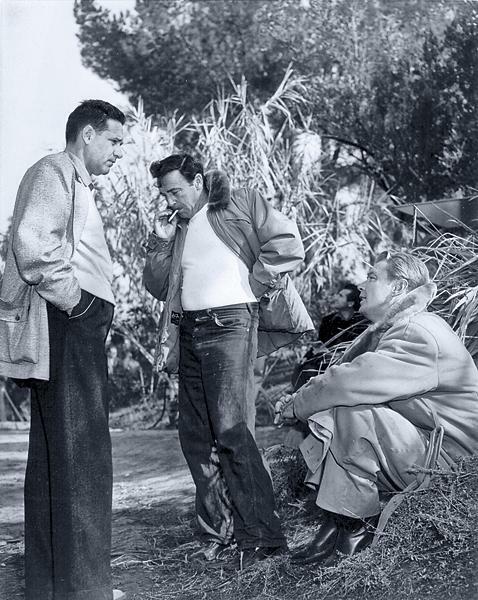 Director Gordon Douglas, with cigarette, confers with producer Martin Rackin and star Alan Ladd during the shooting of Santiago,a 1956 film set in Cuba during the 1898 conflict between the U.S. and Spain. 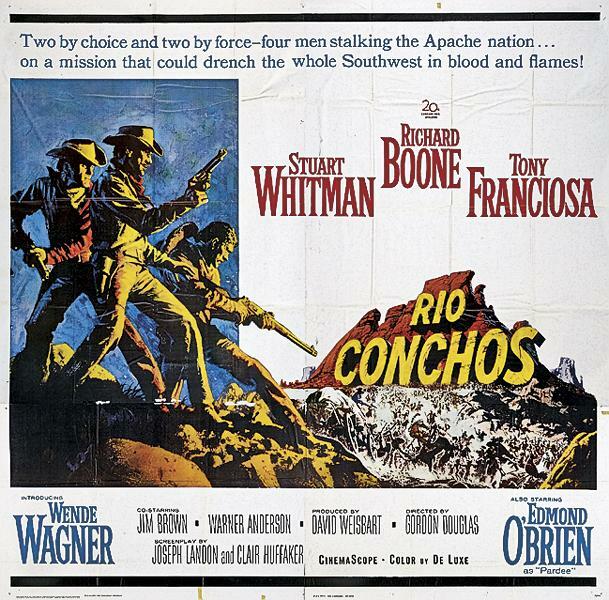 Douglas’s toughest Western, Rio Conchos was highly entertaining, with a dark message about war and violent obsession. Richard Boone has never been better. 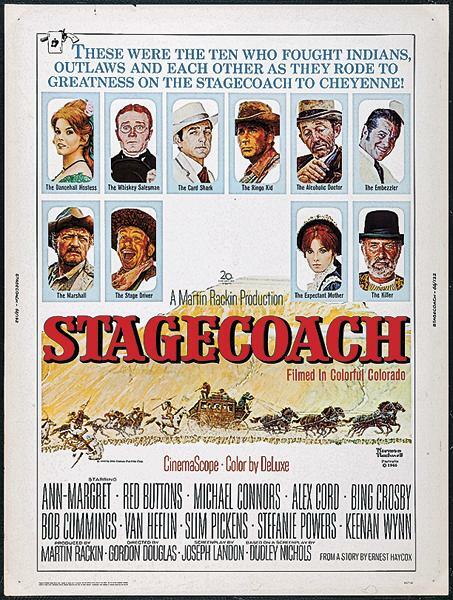 The Stagecoach remake was a failure, but an interesting one, with Douglas directing in the long shadow of John Ford. The poster features the cast painted by artist Norman Rockwell. 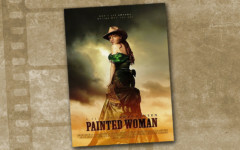 DVD Review: Painted Woman Review of James Cotten's Painted Woman.